Los Angeles Kings GM Rob Blake remains quite the popular individual these days and his phone bill will continue to increase as the days creep closer to the Feb. 25 trade deadline. The Kings have a number of players still on the trade block after moving defenceman Jake Muzzin to Toronto last Monday. 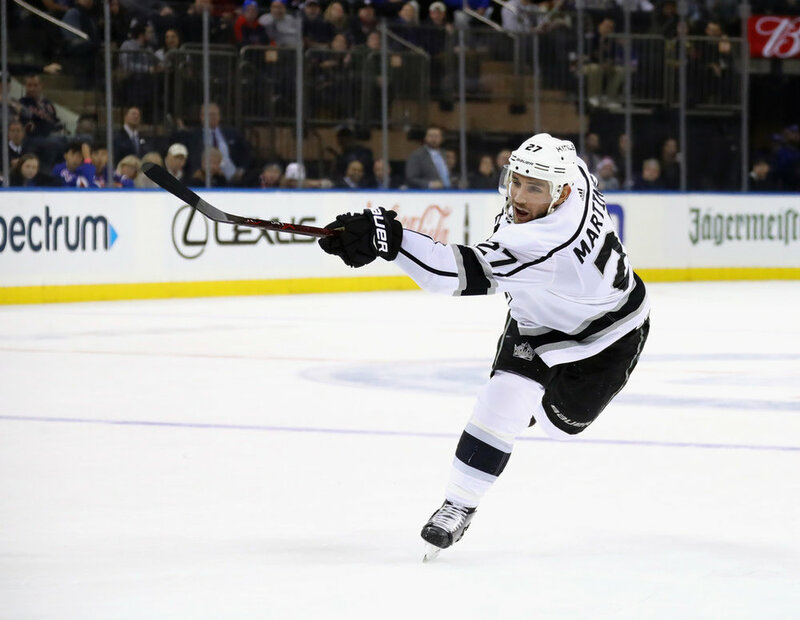 Forwards Jeff Carter, Ilya Kovalchuk, Tyler Toffoli, Carl Hagelin and Nate Thompson, and defencemen Alec Martinez and Derek Forbort are believed to be among those available for trade, as well as goaltender Jonathan Quick, though a move involving the 33-year-old netminder is unlikely to occur by the deadline. Kovalchuk, who signed a three-year deal with the Kings as a free agent in the summer, may not be moved by the deadline, either, though there are some teams interested in his services and would explore a trade if the Kings retain a portion of his salary. The star winger owns a full no-movement clause and may not be looking to change teams during the season – it’s unclear if he’d consider a move to a top contender. Among L.A.’s available assets, only Hagelin and Thompson are in the final-year of their respective contracts. Thompson also owns a 10-team no-trade list. Carter, Toffoli and Martinez have generated the most amount of interest, but there are no guarantees all of them are moved in the coming weeks. All three players have term left on their contracts beyond this season and the Kings could explore moves in the off-season if deals aren’t to be made this month. The Nashville Predators and Boston Bruins have shown interest in Carter, and the Tampa Bay Lightning and Edmonton Oilers have been linked to Martinez, while the Montreal Canadiens and Carolina Hurricanes are believed to be eyeing Toffoli.